Dreams really CAN come true…all it takes is a little bit of determination, some sharp couponing skills, and a LOT of preparation. If you and your family have been wishing upon a star for a trip to Disney World, stop wishing and start reading! I just made my dream come true, and YOU can too! I have been a couponer/deal seeker for most of my life, and decided that this year, I was going to take my family to Walt Disney World…and I was going to pay for the entire trip using coupons and rebates. Once I began my journey, I realized that through ‘sniffing out’ savings, there was truly no limit to what I could do. Not only was I able to coupon an entire 6 day, 5 night trip for 3 to Disney, the trip included ALL expenses, including meals, resort, airfare, souvenirs and more! There are many, MANY ways for budget saavy families to do this, below I will detail my journey, including a detailed breakdown on exactly how I achieved my dream. This is by no means a one-size-fits all guarantee, rather a guideline for families to use to drastically reduce the out of pocket cost of a trip to Disney. By booking in advance, timing out your trip appropriately, and being extremely prepared, you can cut out accruing many unexpected, unnecessary costs. In order to include ALL of the ways I found to save, this article will be lengthy. However, if you have already began your journey to Disney, simply skip ahead to the step you are on, there is ALWAYS a way to save a bit more! Commit To Something…Then Get Started! It is NEVER too early to start planning for your journey! 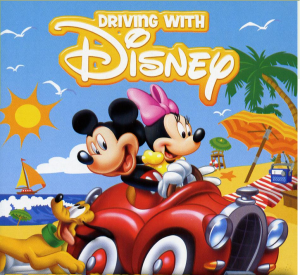 Disney is an enormously popular vacation location. And, some of the best events, resorts, and places to eat fill up quickly! Start by choosing a target date, and begin a savings plan to reach your goal (the amount you believe you will need) before that date. I began by googling ‘How much is a 5 day vacation for a family of 3 to Disney World’. I got many estimates, but most were between $5,000-$6,000. I used this as my ‘baseline’ and began getting money together. Once I got started, I found that the official “Disney” page was extremely beneficial. I really appreciated the resources that I found there. There are many, MANY helpful tools on there to give you a very accurate estimate on what your trip will cost. 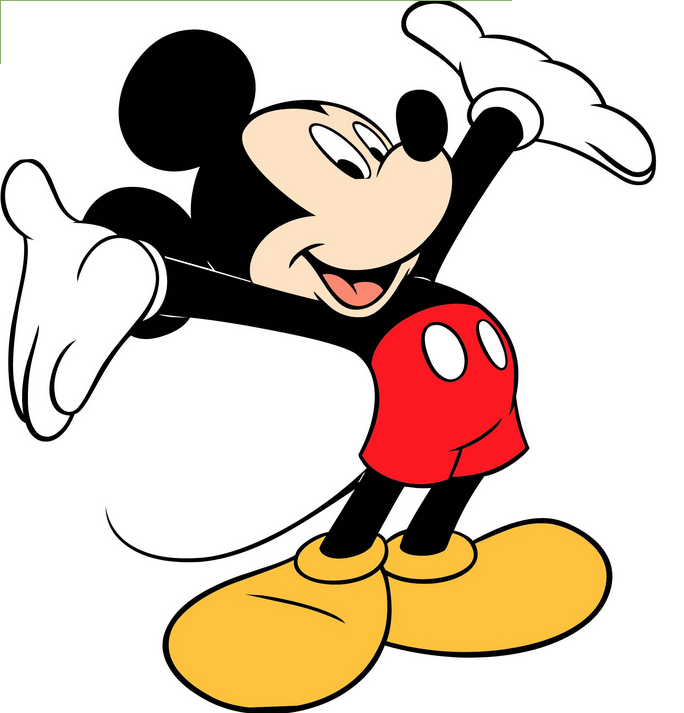 You can use it as a starting point: GO Disney GO! *How many will be going? *How long will you stay? *What time of year do you want to go? *Do you want to stay on site, or off? *What type of lodging are you looking for? *Will you drive or fly? I also decided to stay on site for the same reason, accessibility to the parks. When it came to other options such as, When will we go? and How long will we stay? I tried to keep my mind open to options-the more flexible you can be, the better! After I had a general idea of what I wanted, I made the plunge and called Disney direct ((407) 939-5277). There I spoke to a cast member (AKA Disney Employee) about what I wanted. While I spoke to her, I learned that there was CURRENTLY a promotion going on called Summer Fun, I also learned that there was ANOTHER promotion coming later in August where visitors could receive a free dining plan! I called back right when the Summer Fun plan was ending, and gave the cast member a general idea of what I wanted (a 5-7 day trip for 3, on a budget in early August). She responded with some options; I asked if that was the very best price I could get, and she suggested booking later in August, when I could get an additional day (a SIX day trip, instead of 5) and save an additional $1,000! I would also be eligible for a FREE dining plan as a new promotion would be starting then. The price that was proposed to me was around $4,000. This price included the resort (a place to sleep! 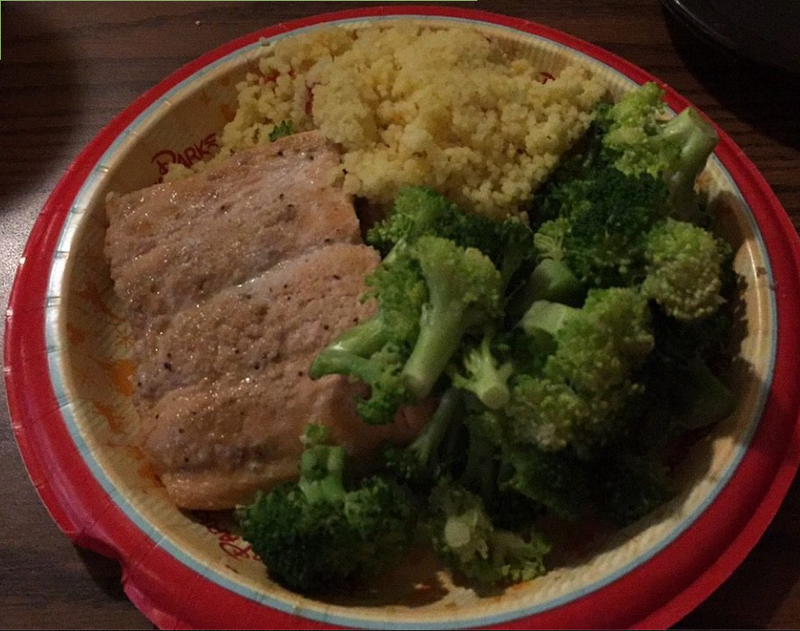 ), the Disney Dining Plan (food to eat! ), Park Tickets, Magic Bands (bracelets that you use for EVERYTHING…room keys, park admission and more!) AND airfare! I was thrilled, but I thought…why stop there? I took a step back, thought it through, then called back again. When I called back, I asked the cast member if changing the flights would make a difference. I was then able to save an additional $600 by flying out of a different town! I asked if there were any additional discounts that I was eligible for, and while there were not, the cast member informed me, that by coming in on a TUESDAY instead of a MONDAY could save me even more! She also asked if I was open to a different resort, which I definitely was! When you ask about discounts, don’t be afraid to cite specific examples, ask about Teacher, Military Discounts, Government Employee Discounts, and AAA (Just to name a few), you NEVER know what may be eligible. We were able to get my total down to around $2,7000. That is over 5%0 in savings from what I was originally quoted! The idea here is, do NOT be afraid to ask! If you feel that you are speaking with someone that is unable, or unwilling to work with you, call back at another time. There are thousands of Cast members available to speak with, keep trying until you find one that you are comfortable with. Don’t be afraid to ask questions, and continue asking them to check for different ways that you can save. In addition to that, remember to be flexible. If you are unable, or unwilling to be flexible, then you leave little for them to work with. Remember, sometimes you have to GIVE a little to GET a little! It should not take long to get these items together, most items only require simple couponing. I really liked the small, travel sized sunscreen bottles. Easily packable, the sunscreen can be reapplied at the park throughout the day, without having to lug around a larger bottle. Generally speaking, if you think you will need it, pack it, but pack ONLY the amount you will need. Over packing will cause additional checked baggage fees, and defeat the purpose. 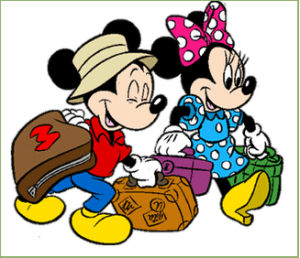 If you are worried about forgetting something, simply Google ‘Packing for Disney’ and there are many lists available to help jog your memory of what you may need. Getting items together was motivating, and fun! It happened very quickly, and I was able to cross each item off of my list, as I acquired them. Next I moved on to a step that was not quite as much fun. I began to dream up ways to lower my balance due…it was early June, and I had only until late July to come up with roughly $2,700. I knew the QUICKEST, simplest way would be to hone in on all of my couponing skills. I began stashing money from friends and family that needed extra shampoo and detergent from my stockpile. I worked hard to find ‘Money Makers’ at the stores. I applied any overage to things that were necessary for my trip. Both Target and select Walmart locations allow basket overage, AND they sell Disney gift cards. 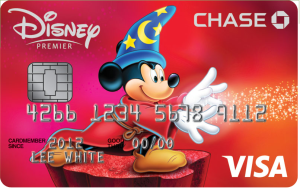 With a small amount of planning, you can really start stocking up on Disney gift cards, which can be used to purchase ANYTHING and EVERYTHING on site…including the balance due for your vacation. 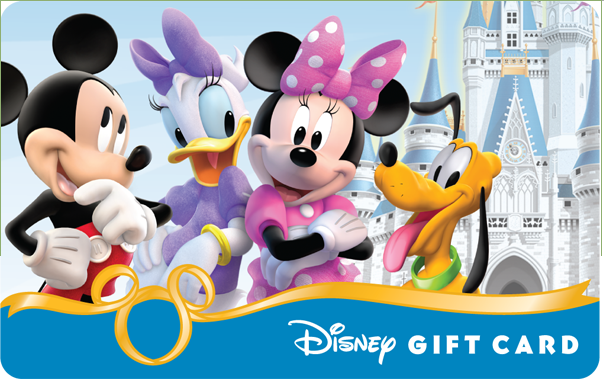 Be cautious not to purchase the Disney Store gift cards, as these are different from Disney gift cards. Also, look for Gift Card deals, ESPECIALLY around the Holidays, many stores offer Gift card promos on Black Friday such as Spend $100, get a $20 card FREE! Finally, I began ‘cashing in’ with my cash back apps. I use these apps all year round, and all together had around $2,000 on them. I simply rolled these into my Paypal account and used it to pay my balance! If you are not using cash back apps, then you are missing out on something GREAT! If you want to learn about these apps, and how to use them, check out more here: My FAVORITE Money Making, Cash Back Apps. YES it is real and TOTALLY 100% possible for ANYONE to do this! Another great way to cut the cost is through one of my favorite sites, Raise.com. On this site you can purchase gift cards, generally the larger gift card amounts have a greater discount, plus you will earn $5 off instantly when you open a new account. If you keep your eyes open, you will also find that on weekends and holidays, they run promotions and take an additional 3%-5% off of already discounted gift cards! These may seem like small amounts, but this could add up to an additional $100-$200 or MORE in savings! I have not seen Disney gift cards discounted often on this site, however I frequently see Target and Walmart gift cards. You can use both of these to purchase your Disney gift cards! Finally, you can consider a Disney Visa. They are currently running a promotion where you can earn a $200 statement credit when you reach a $500 balance. If you choose to put your balance on this, it is like getting $200 knocked off the cost of your trip! Don’t hesitate to ask a cast member about this when you are booking your trip! Don’t be like me…I am a HUGE Procrastinator, and despite having ample time to plan, I waited until the very last minute on many things. You will be given three Fast Pass selections to use each day. Ideally, you should use them to book very popular attractions for the early portion of the day. The Fast Pass will allow you to bypass the line and go straight onto attraction (Occasionally, you will have a short wait). These can be used for shows or rides. Once you have used up your Fast Passes for the day, you can add one at a time (use one, add one) for the duration of the day. We waited WAY to long to book these, so the selections were very limited. And, although, they were still beneficial to us, it could have worked to our advantage to NOT Procrastinate on this…after all, time is money! Ready to eat? If you have the dining plan, you will be asked to book your meals in advance, this is not something that you must do, but I strongly recommend it! Some special attraction meals will fill up 180 days (or MORE) in advance, so this is something that you DON’T want to miss the boat on (Think little girls…dinner with Cinderella and the other Disney Princesses). If you are careful in your choices, you can really benefit from the free dining plan. There are several options, and we received one Sit Down meal, one Quick Service and one Snack with our (FREE) dining plan. I will delve further into the dining plan later on, however it is important to know that dining selections should be made well in advance. Despite my serious lack of get-up-and-go on this, I was still able to get some GREAT selections. I tried to get dinner + event tickets whenever possible. These are extremely costly if you are paying out of pocket, however because it was included in our dining plan, it was an excellent route to go. By doing the dinner/event meals, we got tickets for VIP seating for some of the busiest, most popular events at Disney. This was perfect as we didn’t have to arrive hours early (as many Disney travelers do), or hunt for a great spot. We simply went to our reserved area 15-30 minutes prior to the event! It was like having an additional Fast Pass to many of the BIG events (parades and shows). Let’s face it…Disney is good at what they do, really, REALLY good at it! It took me awhile, but eventually I had to step back and let them do what they do best, and that is helping you to plan your vacation! If you have ever traveled anywhere on a plane before, then you know what a costly hassle everything can be. Disney does EVERYTHING they possibly can to take the stress out of this process. If you are like me, and absolutely refuse to believe that they can handle it all (and you don’t have to) simply call a cast member at ANY time. They will verify that it has been taken care of for you! This peace of mind was another HUGE benefit to staying on site! 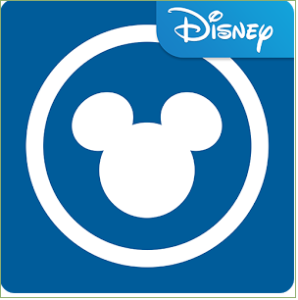 Be sure to download the Disney app, it will help save you time and frustration if you familiarize yourself with it prior to arrival. I was very hesitant to use it initially, but by the end of my trip I was in LOVE! My only regret was not checking it out sooner! This should be on your Disney Checklist, along with choosing a magic band. These *should* be included in your package price, if they are not, ask a cast member if they can include them (purchasing them in the park can cost up to $30 each. You can choose your magic band in advance, and they will mail them to you. Having them in advance will give you access to your room and the parks as soon as you arrive. Make sure to familiarize yourself with everything that they send so that you don’t miss the ‘important stuff’’. If you choose to stay on site, Disney will allow you to take part in their Magic Express (this is a HUGE time, money and stress saver! Do IT!). They will send you baggage tags for any bags that you are checking, you simply use the bag tags and check them as you normally would. Disney will collect them from the airport and bring them to the resort you are staying at. They will ‘magically’ show up in your room 3-5 hours after you arrive! This saves so much time and hassle! They will also send the magic coach to the airport (free of charge) so that you can start your vacation in style…and air conditioning! When you arrive to the airport, you simply follow the Disney signs, board the coach and they will load any carry on luggage. If you have the app, you can check into your hotel 24 hours prior to arrival online. If you do this, your room will be ready when you arrive. You can take the free Magic Express to your resort, and go straight to your room, drop off items and head out to the parks. We packed what we needed in our carry on luggage so that we didn’t have to wait around for our checked bags, then went STRAIGHT to the parks! Another HUGE perk to staying on site is the bus service! If you are staying in a Disney resort, they have bus service from the resorts to all of the parks, all day long! This service is free, and starts prior to the parks opening, and continues until 2 hours after the parks close! Despite being on a budget, there were still things that Disney offered that I wanted to take advantage of, such as the Fuel Rod program, souvenirs, and other Disney goodies! In order to not deprive myself, but still stay on track, I looked for cost efficient ways to meet our needs. 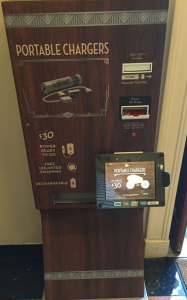 The Fuel Rod is a program offered onsite at Disney to help keep your smartphone charged. If you plan on using their app, then you will probably spend a good portion of your ‘down time’ while waiting in line stalking it. You can find ANYTHING Disney related on the app, from wait times on ALL attractions, to bathroom, smoking and first aid locations throughout the park. It will also give you walking directions to any location! It was so incredibly helpful, but I also knew that I was not going to want to spend time attached to my charger as my battery drained from all of these fun features. Once again Disney delivered with an AWESOME service! You can purchase a Fuel Rod on site for around $30. The Fuel Rod comes with a cord and adapters to charge your phone with, you simply plug it in and charge as you walk! When the Fuel Rod runs out, you can charge it on a wall charger, OR exchange it for a fully charged one at any of the Disney parks. This is a nice luxury at a cost, but for me, the peace of mind that came with NEVER having to worry about a dead battery was WELL WORTH IT! I was able to purchase mine for less than $30 by getting it ahead of time directly from the site here: Fuel Rod. Below is a list of sites where you can exchange your Fuel Rod. **BONUS** Many airport locations and Rest Stops are beginning to introduce Fuel Rod Kiosks where you can exchange! Use your local resources! I really wanted Disney music and movies to help get into the spirit, and also some books to read up on, but these were INCREDIBLY costly. I went to my local library, and they had ALL Of these items available to rent….again FREE of charge! We watched Disney movies every weekend, listened to Disney stations on Pandora, and I got my book, and it didn’t cost me a PENNY out of pocket! Taking a seven year old to Disney is just SCREAMING big spending, but with some pre planning, it doesn’t have to be that way! I was able to order ALL of the items I thought he would enjoy prior to leaving at a fraction of the price! I packed a bag of Disney related fun stuff for the plane, and another bag of fun surprise ‘souvenirs’. I was able to get a good idea of what was popular at the time by asking on Disney Facebook sites and asking friends I will list some examples below to give you an idea of the cost difference. This was a set of Disney pins that kids can trade at the park. They place the pins on a lanyard and can trade at the shops, or with cast members and other kids as they go along throughout the day. The start up sets average about $30 each and come with 4 pins, other ‘add on’ sets are also available for around $25 per set of 4. I purchased a lanyard and 25 pins for $25 on Ebay, this would have cost about $150 at the park. 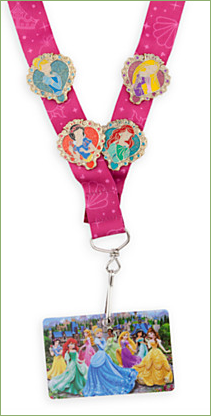 If you are going to do this, make SURE that the pins are 100% Official Disney, or the kids will be unable to trade. MOST sellers will make this clear on the offer. You will see these EVERYWHERE when you enter the park. 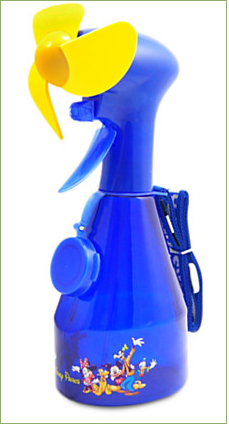 They will cost about $20 on site, and while they are cooling and fun, the price is a little steep! I was lucky enough to score one of these from a friend prior to going, just by asking around! She let me have hers from a previous trip. If you are not that lucky, you can purchase these on Ebay again, at a fraction of the price. T-shirts and other Disney apparel can be purchased in the same manner, ahead of time! You will need to find room to store these items to bring home, so it would better serve you to purchase them at a reduced price prior to arriving. Other popular items at Disney included bubble wands, glow sticks, light sabers and more! 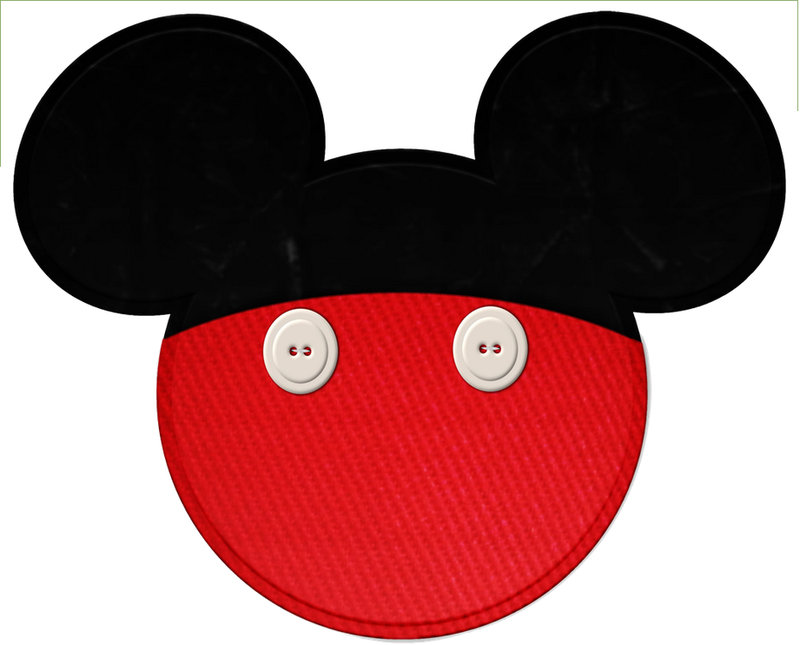 I found a GREAT site that sold LOTS of Disney items (Some new, some Used) at discounted prices. I purchased action figure sets, coloring pads and more for the plane ride! It is nearly IMPOSSIBLE to go to Disney and NOT get Mickey Ears, save yourself the big bucks by either purchasing these in advance or making them yourself. 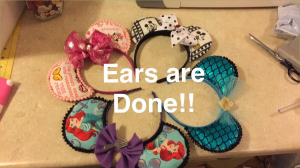 You can purchase simple Black ears on Amazon or Ebay for as little as $1.00 per pair, and decorate them yourself at home, OR you can do what I did…purchase headbands from the dollar store and make your own from scratch! These cost anywhere from $20-$30 PER PAIR when you purchase on site, so either way…doing them at home is a WIN! I used my rebate money to purchase ALL of these items-and more, so it did not impact my monthly household budget at all! 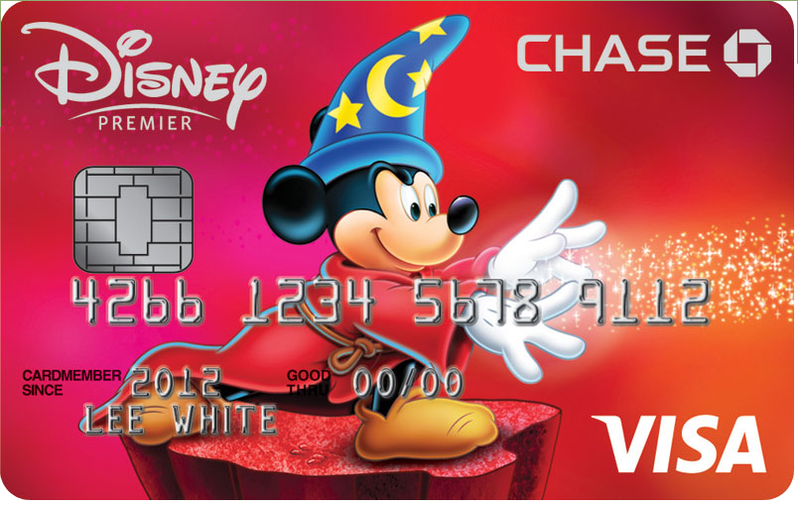 When I arrived to Disney, I put my debit card with a pre planned amount on it on my room for any unexpected charges. 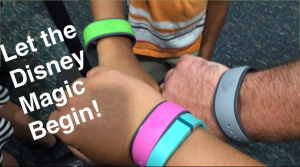 They make it very convenient by attaching your magic band to your room account at your request, so you NEVER have to carry cash, simply swipe your magic band and go! We made it a personal goal to NOT spend anything while we were there, and we came VERY close to achieving that goal! One of the only expenses that I forgot to factor in was tipping at our meals. We really only needed to tip at our table service meals, however because everything was so expensive, a reasonable tip at most places was between $20-$25 (most sit down meals WOULD have cost between $150-$200 if we did not have the dining plan). Don’t let the Magic Band’s ease of use encourage you to spend frugally, because there is really no need to! We avoided common spending traps by packing our bags each morning depending on our needs for the day, therefore eliminating the need to purchase any items. We would pack granola bars for snacking between meals, ponchos if the forecast was calling for rain etc. If you get out into the parks and realize that you forgot something that is a necessity (One day I forgot to take my allergy pill! ), ask a cast member BEFORE you whip out the cash or magic band. They generally have a solution for EVERYTHING! A cast member saw me sneezing and sniffling and suggested that I go to the First Aid area for an allergy pill. They also offered pain medication and bandages (think BLISTERS…). 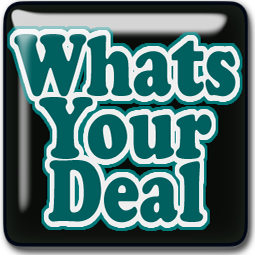 If you purchase these items on site, they can be costly, inquire within BEFORE you purchase anything! Cast members are often more than willing to creatively solve your dilemma! Avoid paying for drinks as well. If you are staying in a Disney resort, you will be provided with a resort mug that you can refill at anytime during business hours, free of charge with soda, tea, Powerade, or a variety of other selections. Also, it seemed as though VERY few Disney travelers were aware that Disney provides free ice water at all Quick Service stands, and many snack stands as well! We used our insulated water bottles, and would refill as we passed by. This provided us with free cold drinks all day long (Bottled water was $3-$4 per bottle on site), and there was no need to haul a cooler, as we saw many other families doing. If you are given the option to upgrade your dining plan (for a cost), I would advise against it. I was stunned by how much food we received each day! Our dining plan provided one snack, one Quick Service, and one Table Service meal per day. I prepped my guys well in advance (The food may not be good…we are taking LOTS of granola bars…). I FULLY expected low quality, high priced ‘zoo food’ (you know the stuff…$12 hamburger hockey pucks, frozen fries, etc.). Once again, Disney raised the bar with filling, nutritional food, and a variety of choices. The snacks were filling, there were LOTS of choices, as were all of the options. If you are curious, you can pull up all options in every park and filter the dining selections to narrow it down to just Snack, Quick Service, or Table Service to get an idea of what is served. The Quick Service all came with a drink and a desert (for one ‘Quick Service Meal’ we received BBQ ribs, chicken, coleslaw, and a desert!). There is NO reason to purchase any additional food. Outside of the granola bar breakfasts, we really didn’t need to compensate. Below is an image of one of the meals we chose for Quick Service, it included desert, and a drink, which was not pictured. Table Service also included a FULL appetizer for EACH person eating! There were many, many options! Most, if not all items can be purchased after you leave the parks online at a much cheaper price. Don’t feel that you MUST purchase items on site. If you see something that you LOVE but are unsure of, search it on Google before putting down the plastic! While this article is not meant to be concrete instructions for all travelers, I hope that it can serve as a guideline to ANYONE that wishes to travel, but feels that it is not within reach quite yet. I was able to successfully pull this trip together and pay for it STRICTLY with my couponing income in less than 2 months. It IS possible with hard work and determination. Remember that not all things happen overnight, but you can do ANYTHING by taking baby steps! 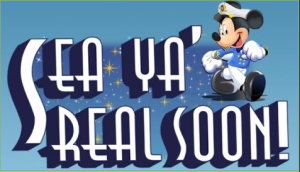 I can’t WAIT to hear about the incredible success stories that are SURE to come, as you begin embarking on your own Couponing To Disney Adventure! Good Luck, and remember to NEVER loose site of your dreams!